Make an Appointment to start your family mediation information/intake session -You will be taken to the appointment pages of the website MEDIATE RESOLVE, dedicated to resolution of family issues including parenting issues (commonly known as “custody”) and property settlement issues. Randal Binnie, one of our partners is an appointed Family Dispute Resolution Practitioner under the Family Law Act and a Nationally Accredited mediator. Find out more about how Randal can help you resolve your family law issues (and others) by visiting our Mediate Resolve family mediation website. I won’t see you in Court! There are better ways to resolve family law parenting and property disputes. Find out how. Mediation (the term includes family mediation, family law mediation and family dispute resolution services) resolves conflict and problems in all walks of life, business, families, and international disputes just to name a few. If you haven’t participated in a family mediation (the Family Law Act refers to “family dispute resolution”) before you may want to know what it is all about. 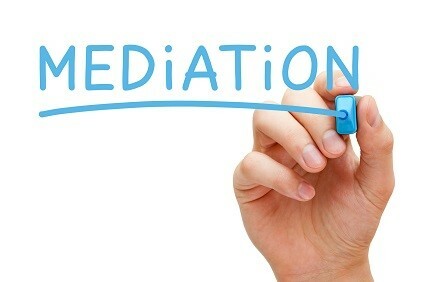 This article will give you an insight to “What Mediation is All About”.